The custom Switches look stunning. Nintendo has released several collector’s editions of consoles and controllers over the years with each of them giving personality to the hardware. But there isn’t always one with the personality that you might be looking for. That’s where customized consoles come in. Extreme Consoles is a company specializing in airbrushing and hand painted visual designs on controllers and consoles. 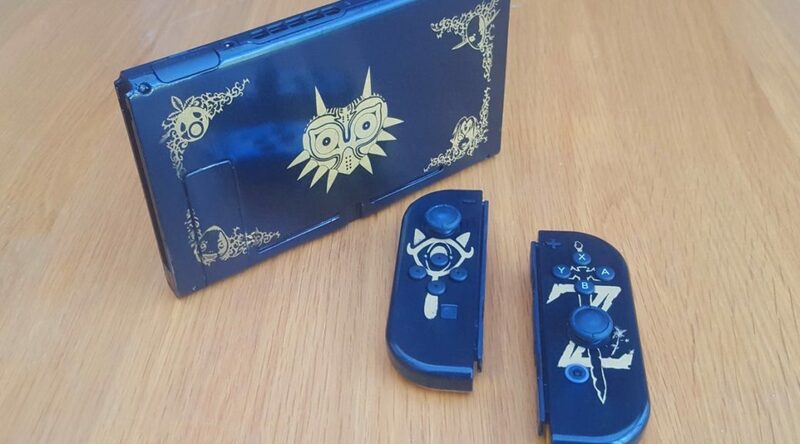 They make custom painted consoles and controllers that look spectacular. Here are some awesome Switch designs from their Twitter page which include Zelda themes, ones with bling, and some Retro styles to name a few. Which of these is your favorite? Is there a theme that you would like to see?